8-year-old E loves writing but she frequently complains about not having any ideas for topics. We talk about how she can brainstorm ideas herself often but she also likes it when she can just use a ready-made writing prompt. 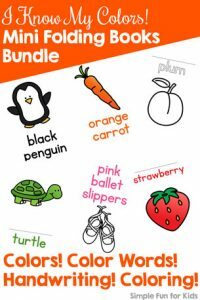 I have a nice variety of differentiated writing prompts that I’ve shared already, but this time, I tried something different. Mini folding books are always great fun for any learning objective, so I tried out an idea of having a little book with a whole bunch of writing prompts all in one spot. The result: Things I Wonder About Santa Mini Folding Book. E LOVES it! She immediately started writing and finished pages 1 and 2 in the book before she ran out of steam for the day 🙂 Let me know what your kids think! 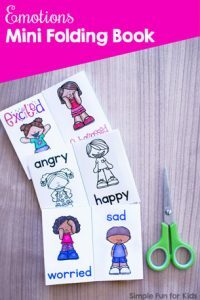 The file includes one page that turns into a 6-page mini folding book with a title page and back cover with minimal cutting and no gluing or stapling. 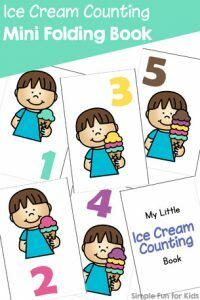 Each of the six inside pages has a different question with an image that goes with the question. The questions work great as conversation starters and/or writing prompts. I’ve also added a number (from 1 through 6) to the questions for easier identification when using as a writing prompt. Please note that the mini folding book does NOT have space for additional writing, so extra writing paper would be required for this use. 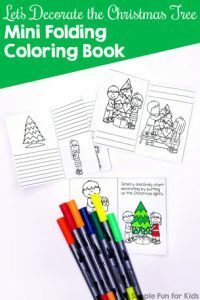 The title page says “My Little Book of Things I Wonder About Santa” with a line underneath that can be left blank or be used to write a child’s name. The back cover shows all of the images from the six inside pages and the numbers that go with them as a sort of “table of contents”. 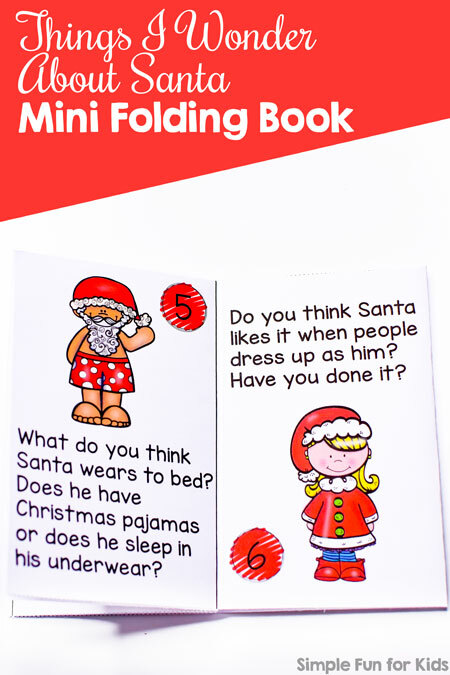 Download your Things I Wonder About Santa Mini Folding Book! Or click here to see this page on my membership site and become a VIP member today! The VIP file includes a b&w version of the mini folding book. 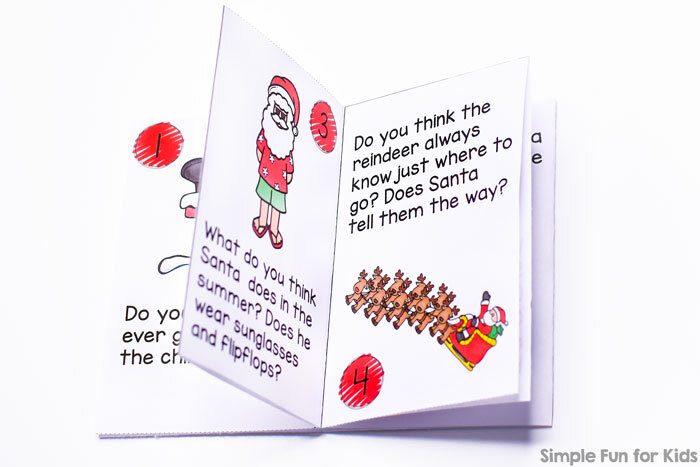 My Santa and his Reindeer Skip Counting by 5s Puzzle uses the same Santa and Reindeer image (from page 4 of the mini folding book). 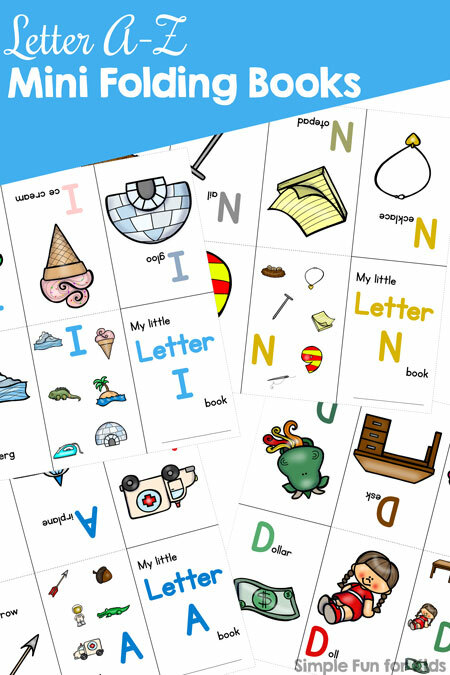 Are you looking for other mini folding books?